Feel free to make these items without the other. They're both good, but even better together! 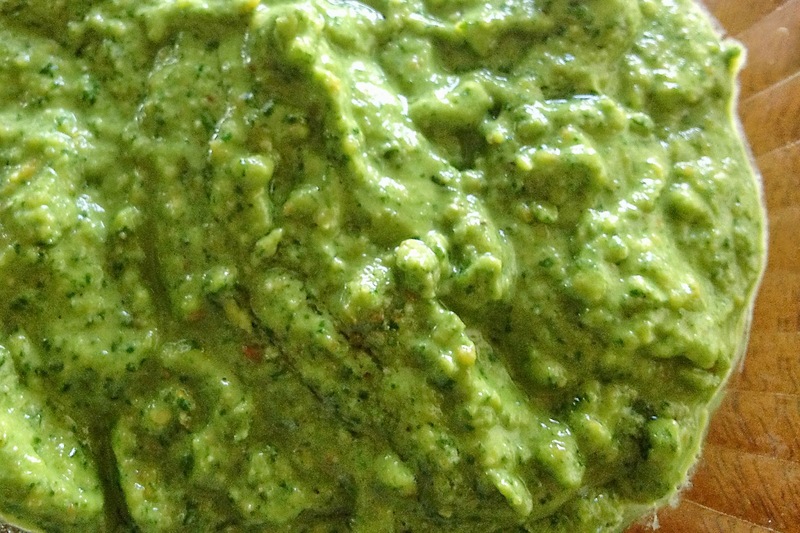 Pesto also is wonderful tossed with pasta or on bruschetta. Cut squash in half lengthwise and scoop out seeds. Cover a large baking pan with foil and place squash with flesh side up. Drizzle with olive oil, sprinkle salt and pepper. Bake at 400 for 45 minutes. Scrape out flesh with a fork. 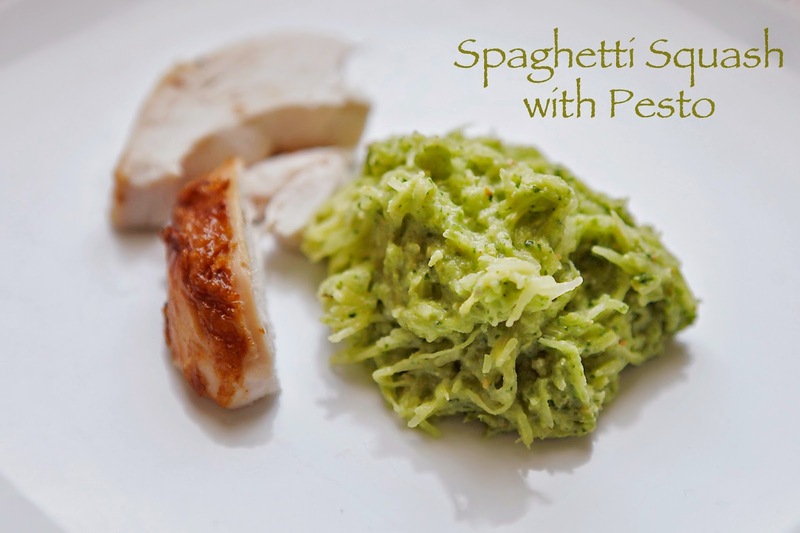 Serve with butter or spaghetti sauce, or pesto. Combine all ingredients in a food processor and pulse until blended well. Use immediately, store in fridge, or fill ice cube trays and freeze for future use.